© 2008 Enlight Pictures − All right reserved. A series of intertwining stories focus on the lives and transformations of three women and their romantic relationships. All About Women (Chinese: 女人不坏; pinyin: Nǚrén bú huài), originally titled She Ain’t Mean and Not All Women Are Bad, is a 2008 Chinese romantic comedy-drama film directed by Tsui Hark. Starring Kitty Zhang, Zhou Xun and Gwei Lun-mei, the film tells a series of interwoven stories as it focuses on the lives of three women and their romantic relationships. 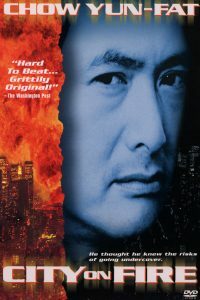 Zhou plays a clumsy woman who secretly develops a pheromone drug patch, which serves as a plot device for the film; Kwai plays a punk rock band singer, who is also a boxer and novelist; and Zhang plays a wealthy attractive woman. Originally set to be an updated version of Tsui’s Peking Opera Blues, All About Women was shot in Beijing, China, and was released in China and Hong Kong on 11 December 2008. The film was later released in Singapore on 8 January 2009. 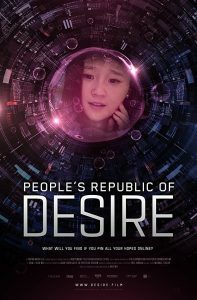 Kitty Zhang plays Tang Lu, a corporate businesswoman, who tends to follow her head, not her heart. Zhang commented on the character, and how her friends relate to Tang Lu: “I’ve got female friends like that. They’re actually very happy and think they’re doing very well. Only other people think that they’re sad and lonely, and society portrays them as such.” To prepare her for the role, director Tsui Hark hired an expert to give Zhang some training. Zhang admitted to having some pressure on the film’s set as she feared destroying the expensive costumes and props. Godfrey Gao plays X, a famous rock superstar, who is Tie Ling’s imaginary boyfriend. Stephen Fung plays Sima Xiaogang, Fanfan’s love interest, who resembles her former dance instructor. He is an indie rocker, who winds up being a human experiment for Fanfan’s pheromone drug patch. Fung joined the production of the film mainly due to his passion for music. Eddie Peng plays Mo Qiyan, Tang Lu’s cousin and secretary. He is a nerdy, bespectacled guy, who is attracted to Tie Ling. Screenwriter Kwak Jae-yong described the character as being similar to that of Cha Tae Hyeon, a character from his 2001 Korean film My Sassy Girl. Shen Chang plays Tian Yuan, a timid colleague, who is hired to pose as Tang Lu in the hopes of initiating a deal with Professor Wu. 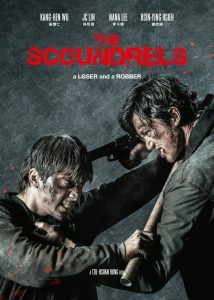 The film features cameos from four filmmakers: the film’s director, Tsui Hark, in a deleted scene, cameos as a taxi driver; co-screenwriter Kwak Jae-yong appears as a noodle restaurant patron; Hong Kong film director Jacob Cheung appears as himself, playing an unlucky patient; and actor–film producer Henry Fong appears as Ou Fanfan’s boss.